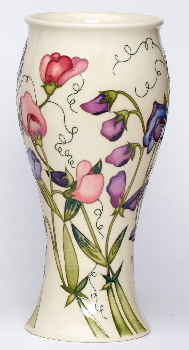 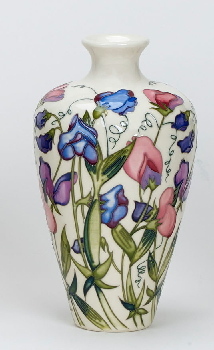 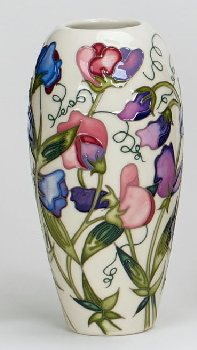 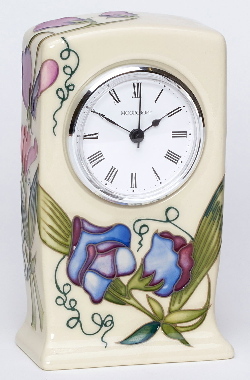 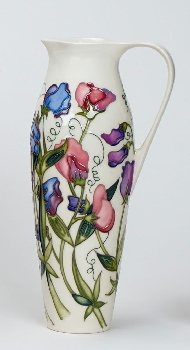 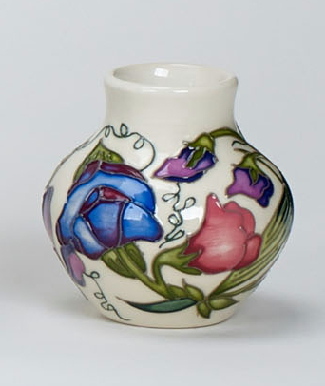 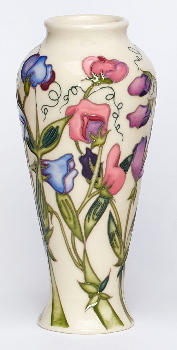 With their delightful wisps and tendrils, sweet peas have made a lovely floral subject at Moorcroft for decades and so their reoccurrence was inevitable. 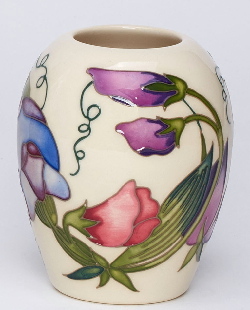 Nicola scattered a wild and unkempt cluster of the colourful annual flowers, with delicate tendrils tubelined in green, for the Moorcroft Club’s 30th anniversary in 2017. 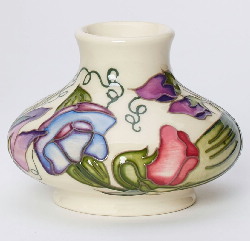 Its popularity was instant and could simply not be ignored. 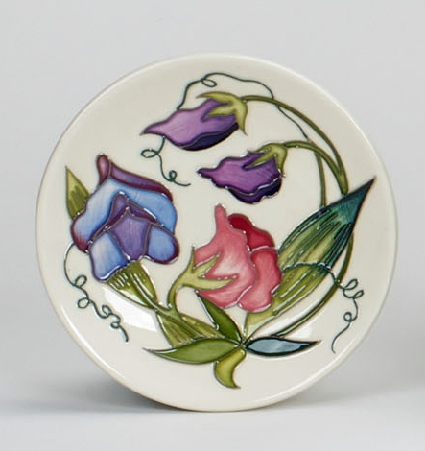 With connoisseurs eager for more, Sweetness makes a very welcome re-appearance in 2018. 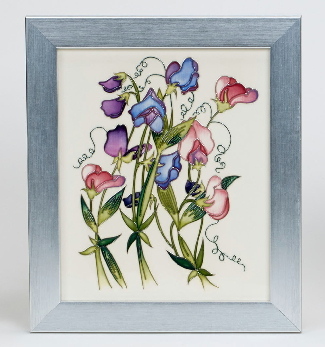 Nicola has used a pure white background to her design and as a result her sweet peas appear bright, cheerful and tempting.